One of the world’s prime space launch sites is bracing for its encounter with major Hurricane Irma – expected to move across Florida this weekend and bring with it extreme winds, torrential rain and dangerous storm surge. If current forecasts hold true, Florida’s Cape Canaveral is looking at a glancing blow of the storm’s more dangerous right side where winds are highest. Personnel at the Kennedy Space Center and nearby Cape Canaveral Air Force Station began preparing for Irma’s looming arrival earlier in the week while also remaining in a posture to support the launch of SpaceX’s Falcon 9 rocket on Thursday from KSC’s Launch Complex 39A with the Air Force’s X-37B space plane. Thursday was the only opportunity to get off the pad for the mission before Falcon 9 would have moved into the hangar near the pad to ride out the storm there while giving teams enough time to secure the facility and move to safety themselves. Luckily, Falcon 9 enjoyed a very smooth countdown on Thursday and local weather – not yet influenced by Irma – cooperated to get the vehicle off the pad near the opening of the day’s window. 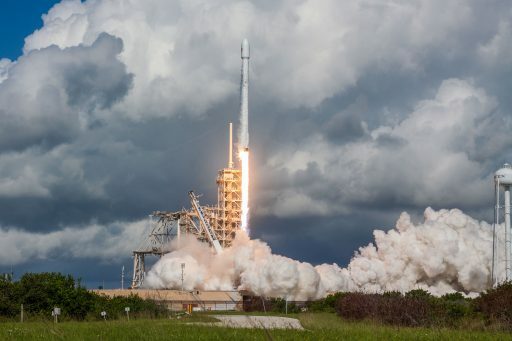 Falcon 9 successfully delivered the X-37B spacecraft into orbit and the first stage landed at the Cape’s Landing Zone 1 – starting a new race against the clock to secure the booster, move it to a horizontal position and truck it to a secure facility to be out of the elements before the storm’s arrival. Getting X-37B out of harm’s way by launching it into space was considered the best case scenario. 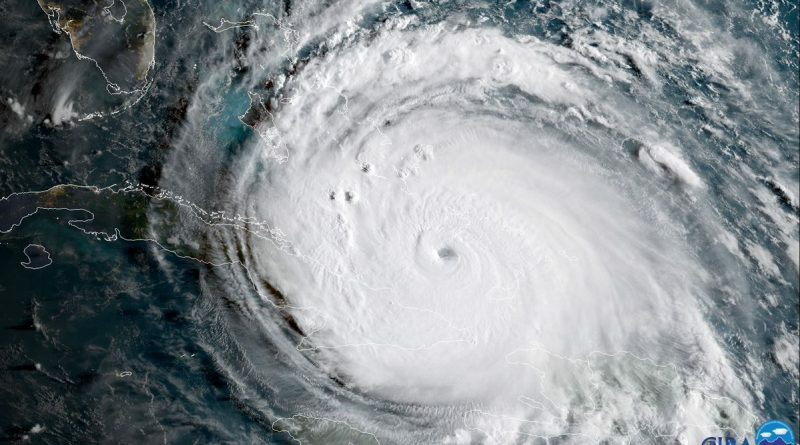 Non-essential personnel at the Kennedy Space Center and Patrick Air Force Base were released at 3 p.m. on Thursday after work centers and facilities were secured per existing hurricane protocols. Steps completed over the course of the week included disconnecting power lines to non-critical facilities, moving critical hardware to safe locations and buttoning up facilities as best as possible. 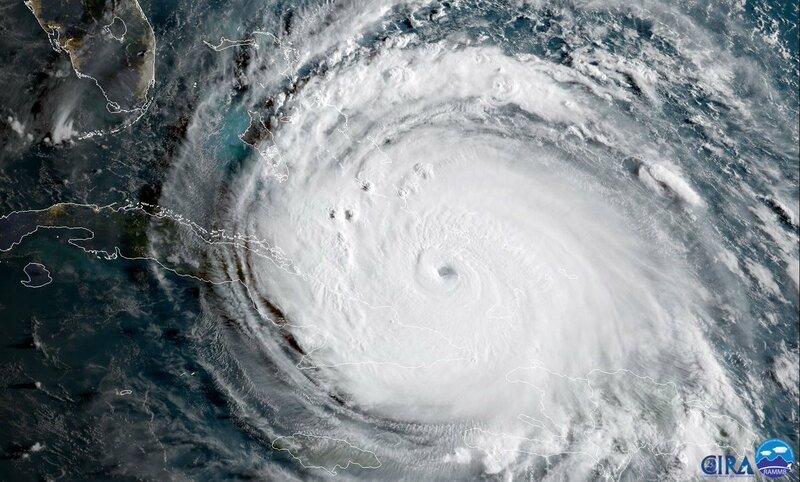 The Kennedy Space Center, including the Visitor Center, will remain closed Friday through Monday and a 140-strong rideout team will hunker down at the Launch Control Center per established protocols to keep watch over mission-critical hardware and complete the initial on-site assessment after the storm passes. Kennedy Space Center went into HurCon IV on Wednesday, initiating the first preparatory steps for the arrival of hurricane force winds with an upgrade to HurCon III right around the time Falcon 9 left the pad – setting in motion steps to back up critical mission data off site and protect all flight hardware, computers and electronic devices. 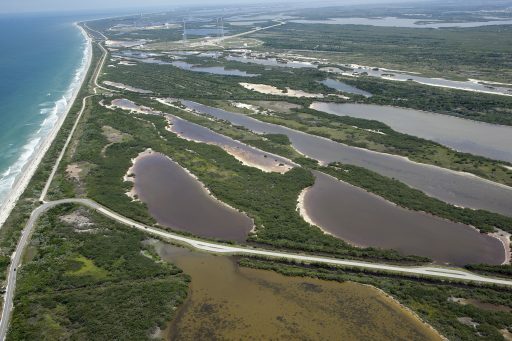 Mandatory evacuation orders went into effect Friday morning for the barrier islands of Patrick/CCAFS and further evacuations have been ordered by 3 p.m. Friday for Brevard County with schools remaining closed from Thursday until further notice. Gas stations and grocery stores began to run out of supplies and Patrick Air Force Base ran out of gas by Friday morning. The National Hurricane Center reported Hurricane Irma was located 655 Kilometers south east of Miami as of 15 UTC on Friday, moving north-west at 22 km/h. Sustained winds measured within Irma were 240 km/h and the storm is expected to remain a Category 4 Hurricane until making landfall in southern Florida Sunday morning. 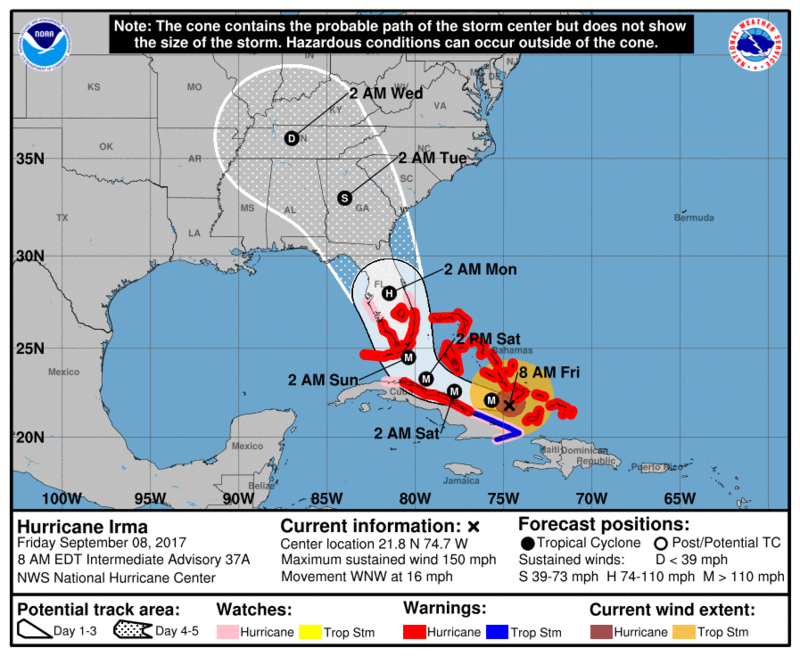 Per the latest forecast models, Irma will continue its northward turn and traverse the Florida Peninsula in its entirety; however, there have been fluctuations to the east and west in forecast models over the last 36 hours, making it difficult to predict an exact track until close to the storm’s arrival. If the forecast holds true, Irma would weaken while traveling over land and arrive over the spaceport Sunday night as Category 2/3 Hurricane. The Cape Canaveral space port faced a similar threat last October from Category 3 Hurricane Matthew which ended up taking a favorable turn to the east which kept the dangerous eyewall just off the coast of Cape Canaveral. Nevertheless, the storm produced damaging gusts peaking at 173 km/h on ground level and left major destruction across the Cape area. Lessons learned after Matthew are being applied for Irma to ensure preparations of facilities and personnel management runs more smoothly. With Irma’s exact path remaining uncertain as of Friday, Cape Canaveral and NASA facilities as well as historic structures may be facing a severe impact. 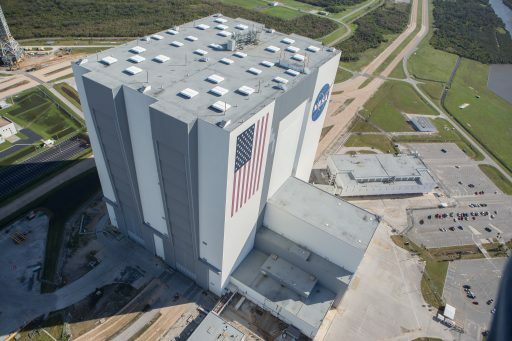 The Orbiter Processing Facilities – currently in use for Boeing’s Starliner and the Air Force’s X-37B spacecraft – are rated to withstand winds of 170 km/h while the 160-meter tall Vehicle Assembly Building, Launch Control Center and LC-39 launch facilities can withstand 200 km/h. 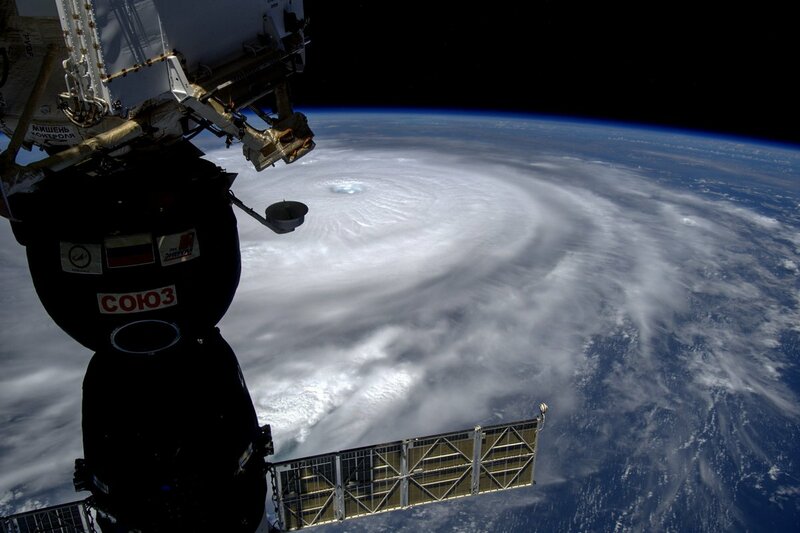 The Operations and Checkout Building – where NASA’s Orion spacecraft for Exploration Mission 1 currently resides – can also deal with Category 3 Hurricanes. The highest sustained winds the VAB had to endure to date came with Hurricane Frances in 2004 when 145 km/h winds blew off hundreds of external panels from the building. Launch Complex 39A, currently in use by SpaceX’s Falcon 9 and hoped to host its first Falcon Heavy before the year is out, has been built to withstand sustained winds of 185 km/h, gusting to 200. All facilities built after Hurricane Andrew (1992) were designed to be able to withstand winds of 210 km/h and greater – this includes SpaceX’s pad-side hangars at LC-39A and SLC-40. The LC-39A hangar is currently holding three Falcon cores – two for the inaugural Falcon Heavy mission and a previously flown first stage to be re-used on the next Falcon 9 mission with the SES-11 satellite. Other SpaceX assets at the Cape include additional recovered boosters, some of which are destined to go on display, others in preparation for re-flight. SpaceX’s OCISLY Autonomous Spaceport Drone Ship will be riding out the storm at Port Canaveral. United Launch Alliance has flight hardware at the Delta IV Horizontal Integration Facility and Atlas Spaceflight Operations Center. The company announced on Friday that its planned September 14 Atlas V launch from California was being postponed to allow personnel to return to Florida to take care of their personal belongings before the storm arrives. 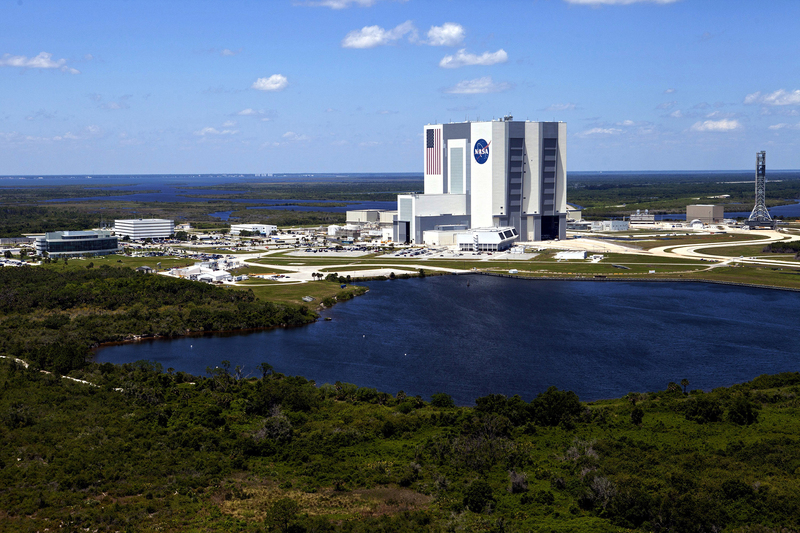 ULA said securing of facilities at CCAFS was being completed on Friday. One particular area of concern for Irma is construction currently underway across the multi-user spaceport. Parked near the VAB is a new Mobile Launch Platform being built for NASA’s Space Launch System, standing some 102 meters tall and weighing over 3,000 metric tons. The tower is currently undergoing outfitting with various ground support systems needed by NASA’s future interplanetary launch vehicle, requiring items to be tied down to prepare the structure for Irma’s arrival with teams finishing up work Thursday afternoon. 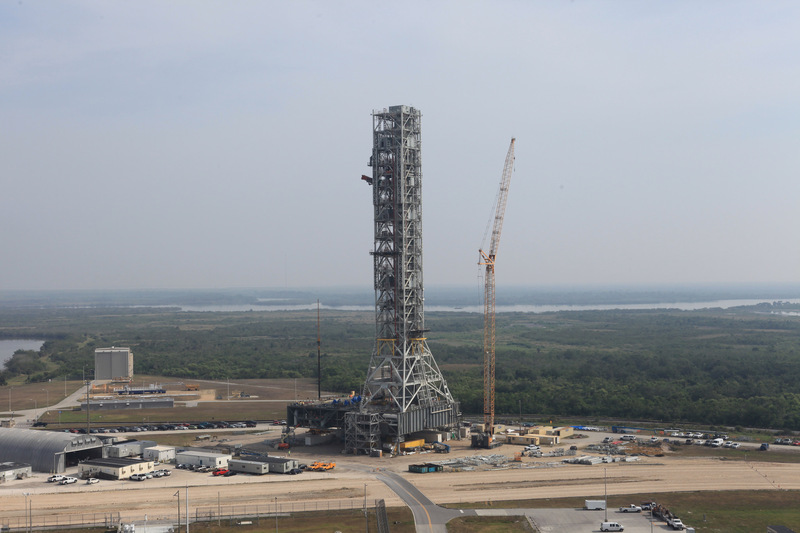 Other construction sites include Launch Complex 39B where teams rushed to finish the installation of a large deflector in the pad’s flame trench. Also, a number of critical hardware items had to be secured including SLS Swing Arms being readied for installation on the SLS launch platform, and the Crew Access Arm for LC-39A. SpaceX is also in the final stretches of repairing Space Launch Complex 40 for reactivation in the coming weeks following last September’s devastating explosion of a Falcon 9 rocket during a standard pre-launch test. SpaceX has the luxury of operating two pads at the Cape, but damage to either one will throw schedules into limbo as the company planned to move launches back to SLC-40 around October to outfit LC-39A for Falcon Heavy. Concerns for Pads 39A and 39B, located a few hundred meters from the Atlantic Ocean, include the potential storm surge – with expected swells between 1.5 and 2 meters. Critical facilities at the space center have backup generators and will be monitored by the rideout team throughout Sunday and into Monday. When tropical storm force winds subside by Monday afternoon, teams will complete initial damage assessments and evaluate potential risks prior to re-opening KSC for workers. Some facilities at KSC only recently finished repairs after Hurricane Matthew had caused roof leaks and water damage to non-critical infrastructure like office space and the well-known Astronaut Beach House.